Dealing with any types of move, whether for your business, residence or commercial can be demanding in different ways. The same with moving library collection. Giving time, attention and money are all required. You will be needing to hire professionals to help you out with the process especially if you have lots of books that need to be relocated. Otherwise, contingencies may occur such as minor or major damages to books due to improper handling. Some have failed to meet their set deadline due to many reasons. Which only show a poor preparation before the relocation takes place. That is why moving library collection is not an easy errand to do without proper planning and procedures. Aside from that, there is also a huge chance that you will get into accidents that can lead to injuries. That can be an additional issue on your move such as expenses. Obviously, you don’t want that to happen and much prefer moving without injuring from start to finish. Having good planning can lead you to a better result. It can also help you prepare with possible challenges you will face when the relocation begins. Because good planning usually requires discussion and brainstorming. So, making your own checklist is necessary so that you can see what are things you have not yet started and what are already finished. Below are the 3 easy ways that can help you have a smooth and painless relocation of your library. Check out and see how useful it can be! As mentioned above, creating a plan when moving library collection is important. Because it can give you the full details of your to-do-list. 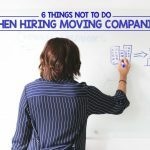 From looking for the right moving company up to the idea of renting storage units for the items you no longer need to use but still want to keep. As well as knowing when is the perfect time when you will be your moving library collection. And how long will it take for you to have downtime if you own a business? Even the budget you need to allocate for the whole process is included. These are some of the things that you need to consider to prevent you from having an unorganised relocation. Before you start moving library collection, decide either you will still operate while the relocation is on-going or not. In that way, you can inform right away your clients and customers about it and see how they can access your library. This is applicable if you will be needing to wait for the new location to be repaired or furnished. If you are not sure with the safety and security of your items, look for a depot instead. You might as well consider hiring quality removalist to do the packing and unpacking task for you before putting them in the storage facility. 3. Prepare a Communication Plan. Preparing your customers about your plan of moving library collection is also important. It is a sign of professionalism and shows how you value them in your business. Yet, if you don’t run a library to make money and just for personal collection, you are also required to have a communication plan. And that is with the people who will handle your books from start to finish the process. In that way, you can avoid misunderstanding about your wants and needs with the relocation itself. It can also prevent you from doing more task than the original plan. When you are planning to relocate your library collection, keep in mind that it is not an easy task to do. Because you have to consider many things. As above mentioned, having proper planning, proper accessibility and forming a communication plan are necessary to have a successful library relocation. We have also stated that if you don’t have any place where you can keep your books’ safe from getting robbed or damaged, crate and skate rentals can be a good solution for it. This is a good and perfect place to store your items when your relocation is ongoing. As well as other depot companies that offer great discounts depending on your preferred storage needs.